After installing Windows 10 (or upgrading from Win 7 / 8), there are some tweaks that some find usefule, especially for desktop/laptop PCs. The lock screen set as default for Windows 10 (first screen before login) might be pretty, but of no real use for non-touch devices. Prior to version 1607, it could be disabled in Windows 10 Pro and Home as described below. But with the 'Anniversary Update' 1607, it is no longer possible to disable the Lock Screen! The Microsoft link below to has a discussion on this matter with users pleading to reinstate the ability to disable the lock screen on desktop PCs, but Ankit Rajput of Microsoft clearly does not understand the situation. Take a look and see for yourself ... quite unbelievable ... but then again, this is Microsoft! However, if you are still on an earlier version of Windows 10, this is how to disable the Lock Screen. For Windows 10 Home, it needs to be done with a registry tweak (works for Pro also). You could edit the registry (Win-R regedit), locate and change the appropriate key as below. The default setting for Win 10 updates is to use peer-to-peer download/upload of updates. This is great for those on unlimited gigabit broadband - the updates arrive quicker and they are shared with others on the Internet. The default is [PC's on my local network, and PCs on the Internet] - not a good choice unless you have fast unlimited Internet. Gadgets were deemed by Microsoft to be a security risk, hence dropped them from Windows 8 & 10. However, if you wish to still have them on board (perhaps stick to those internal system gadgets that don't access the Internet), then they have been revived by a third party: Gadgets Revived. Simply download their software, Desktop gadgets installer, run it once. You can pick those classic gadgets at the time, or at a later stage with a right-click on the desktop. Also, once this software has been installed, you will find that you can install other favourite gadgets, such as All_CPU_Meter_V4.7.3.gadget. On a few occasions, folk have found that the USB mouse stops working after upgrading to Windows 10. The mouse works initially, but after a restart, it stops working. The mouse LED laser is on during BIOS startup, but turns off as soon as Windows starts loading. If the mouse is then unplugged and inserted in another port, it works fine ... until the next restart. This can happen with Microsoft USB mouse as well, so you cannot blame a third-part manufacturer. However, this fix turned out to be temporary, and no longer worked after a month or so. In the end, the best fix was to replace the Microsoft mouse with a basic Logitech mouse - no more problems. Many have found that, after upgrading their Toshiba Satellite Pro L500 to Windows 10, all is fine except the DVD drive. It is not present in File Explorer, and looking at the Device Manager, the DVD/CD drive has the dreaded exclamation mark beside it. Opening it up shows an Error Code 19. One is tempted to blame the hardware, drivers, etc. But in this case, the problem is caused by Toshiba Optical Disc Drive software taking control of the drive. This software is not compatible with Windows 10, so the broken software leaves the Optical Drive in an unusable state. Some folk have suggested uninstalling some of the Toshiba software. The TODD service is used to play DVD movies, etc, in Windows 7. But this issue is best circumvented by using VLC from VideoLAN for watching all videos in Windows 10. Trying different name, email, etc still gives the same error! However, it turns out to be due to a very simple issue - the PC date is wrong! Set the time correctly, and all works fine again! To circumvent this problem, run Command Prompt as Administrator. Then repeat the Regsvr32 command and all should be fine. Many users of WD USB drives have reported frustration with the WD SmartWare Virtual CD. The Virtual CD can be irritating when it wants to install itself on any PC each time the USB drive is connected. Connect the WD USB drive and open the WD Virtual CD in Windows explorer. Take a copy of the VCD Manager software (Virtual CD Manager.exe) and store it somewhere safe - you will need it if you want to re-enable the WD Virtual CD. Run the VCD Manager - will give screen as below. Click Continue - it will identify your WD USB drive, show the current status of the Virtual CD as Enabled, and show the 'target' setting as Disabled. Click Configure Drive to proceed and disable the VCD. When configuration is complete, disconnect the USB drive for a few seconds and reconnect - only the storage partition should now be visible. Should you want to re-enable SmartWare Virtual CD, run the software saved in step 2 above (with the WD USB drive connected) and follow the same steps as above, except this time it will enable the VCD. If you don't have a copy of Virtual CD Manager.exe, it can be downloaded from the WD Support website. However, in this case, WD recommend updating the firmware on your USB drive before running the VDC Manager software. Please note that it is not possible to completely remove the Virtual CD partition and reuse the extra space for storage. However, it is normally a very small portion of the total HDD space, so not worth bothering about. Handbrake is a favoured package for ripping DVDs (along with other video editing tools). However, many have experienced problems using it with Win 7 64-bit - it can produce a corrupted video file with 'blocky' video and 'stuttering' audio. Thanks to Wenluke.net for this tip. If you can ping a PC by IP address, but not by hostname, the fix could be as simple as restarting the router. On my LAN, I have some Windows PCs and 2 Linux boxes: one Ubuntu 14.04, and the other Linux Mint 17.1. I could ping both Linux PCs by IP addresses, and ping the Ubuntu PC by hostname. But I could not ping the Linux Mint PC by hostname (unless pinging Mint PC from the Mint PC). I spent about 2 hours searching the web, trying out numerous suggestions, checking assorted files (hosts, hostname, nsswitch.conf, resolv.conf, etc), restarting assorted services. When comparing Network Settings on both Linux PCs, I could see that they both had DNS set at 192.168.1.1 (router). 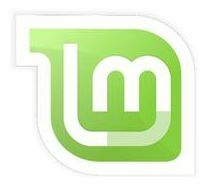 Ubuntu had been running for several months, but Linux Mint only a few days ... so perhaps the router did not know about the new Linux Mint PC. After restarting the modem/router, I could then ping both Linux PCs by hostname from anywhere, plus open their respective websites by hostname. So remember the old adage: "Have you turned it off and back on?" The above crontab entry executes the bash script at 3am each day, and works well. The system network services are not compatible with this version. After that, the Network Settings and Network Connections display the required information. There is a known bug with VIA VT6415 IDE Controller on some Mother Boards and Linux - this controller chip can cause boot failures with several versions of Linux. My experience was with Asus P7H55M mother board and Ubuntu V 12.04, 13.04, and 14.04, and later with Acronis True Image boot CD (uses Linux O/S). The symptoms were usually just a black screen with a flashing cursor shortly after BIOS POST screen. After that, all worked well for my system. Thanks Paladin24. Linux is regularly used as a server making its files accessible to other PCs, both Windows and Linux. The same can be done with a printer connected to the Linux server. For printer sharing, CUPS (Common Unix Printing System) is used to share between Linux boxes. Samba is typically used to share printers between Linux and Windows. However, based on my experience and from what is posted on many blogs and forums, this has been found to be unreliable with Ubuntu. Even after many hours modifying smb.conf and experimenting, I found that although one could find a shared Ubuntu printer and set it as a networked printer in Windows, it would stop working the next day, and no longer visible when browsing for it. This seems to be a Samba issue. A work-around was to log into the Ubuntu server from the Windows PC before printing . . . not exactly a quick and easy printing method. Using a fixed IP address also makes it easier to share printers between Ubuntu PCs. Once fixed IP address is set, proceed with printer sharing below. Provided Windows can find this printer, it should then proceed as normal where you select a suitable Windows driver, set default, etc. For Windows XP, you should be ready to test the printer. After this, you should be able to reliably print from a Windows PC to a printer connected to the Ubuntu server. If you have been frustrated with trying to share Ubuntu printers using Samba (like I was after messing about for some days), then try IPP and CUPS - it works really well for my network with a mixture of Win 7, XP and Ubuntu PCs. There will be times when your PC, or a friend's PC, is infected with a virus that cannot be deleted by it's own anti-virus software and the virus won't allow you to install or run any other anti-virus software - damned cunning, these viruses! 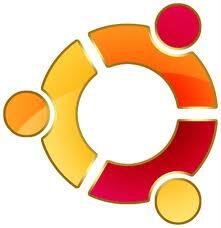 One work-around is to use Ubuntu (32-bit) to scan the Windows hard disk to detect and remove the viruses. Why this works is because the virus is active in the Windows environment, but not when the PC is booted up with Linux O/S such as Ubuntu. There is no need to install Ubuntu - all you need to do is boot the PC from a Live Ubuntu CD, run Ubuntu from the CD, download Linux anti-virus software, and run this to scan the hard disk. A copy of Ubuntu can be downloaded from Ubuntu - this site gives instructions on how to then create a Boot CD or USB Stick. It is also often available on the DVDs supplied with PC magazines such as PC World. A full description of this process is described in Scan a Windows PC for Viruses from a Ubuntu Live CD on the How-To Geek web site. This page gives an extensive description of the whole process complete with numerous helpful screen-shots. While it refers to using Ubuntu V9.10, I have successfully used Ubuntu 10.10 (tho yet to try 11.04). Boot the infected PC from Ubuntu Live CD, and select option to Try Ubuntu (run Ubuntu from CD instead of installing it). Open Firefox and go to www.avast.com/linux-home-edition. Download and save the DEB package (I keep a copy on my USB stick on my keyring). 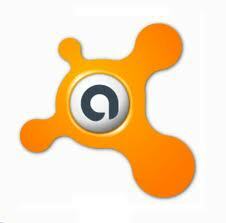 Note: you will need to register this copy of avast!, so ensure you have access to your email account. Start avast! (in Accessories) and enter your license key. You should then Update the database. While the database is dowloading, locate the Windows hard drive under Places. You can check it is the correct drive by opening it and looking for folders such as i386, Windows, etc. Also take note of the label given to the hard drive. In avast!, choose Selected folders, then click '+' icon. Expand and browse down thru 'media' and select the folder that has the label used for your Windows hard drive (noted in previous paragraph). Finally click Start and allow avast! to find those viruses that are not expecting a linux anti-virus program to kick their arses! The common method of moving contacts to SIM card, then moving SIM to Android phone does not always work correctly with some Nokia phones if there are more than one phone number per contact. This appears to be a Nokia problem, because using the Nokia PC Suite software shows only one phone number per contact, even though there are 2 numbers shown on the phone. If you already have contacts transferred by SIM card, it will pay to delete them to avoid doubling up. However, use your discretion if you have already added new contacts to your Android phone. Wait for all your contacts to appear - they arrive chronoligically, not alphabetically. Some folk still need to run Windows XP for specifics tasks, and use the Windows 7 Professional Downgrade Rights to install Win XP (instead of using XP-Mode of Win 7). But many new PCs use SATA modes that are not compatible, resulting in that dreaded BSOD when installing XP from a CD. I've had recent experience of this with the Dell Vostro 3550 laptop. In the BIOS setup, change the SATA Operation from ACHI to ATA. For the Dell BIOS, press F2 on startup > Advanced > SATA > ATA. F10 to save & exit - simple as that! Note: Jesse does mention returning to AHCI after installation, but I found doing that resulted in BSOD again, hence I left setting at ATA. There have been several reports of Skype 5.0 and 5.1 generating the above error with certain webcams. And accompanying them have been numerous suggestions to fix it, such as uninstall/re-install webcam software & drivers, uninstall/re-install Direct-X, upgrade Skype, etc. For me, the only suggestion that worked was to uninstall Skype and install an older version: V4.2.0. This can be downloaded from FileHippo. It might not be the most elegant solution, but it is a work-around until Skype resolves this issue. BTW, this Skype error seems to be independent of the version of Windows, or age of webcam. Many have reported the problem on new laptops with Win 7. I discovered it with Skype V5.1.0 using an old Genius clipon (VideoCam GF112) with XP/SP3 and DirectX 9c. It occurred whenever checking the video settings in: Tools > Options > Video Settings. The webcam used to work fine with previous versions of Skype, and hence going back to V4.2.0 fixed the problem. Recently I have been using GIMP V 2.8 (The GNU Image Manipulation Program) for some imaging work, and started noting down reminder tips on how to use it. Below are some of my notes I recorded recently that you might find useful. Use elliptical select (from Toolbox). Start in from the edge a similar number of pixels. When pasting above shadowed shape over existing image, the shadow might not show. If so, export shadowed image as .png, then import .png into GIMP. It will then include shadow effect when pasting over other image. Earlier, someone had also replaced the four C1060 with TIP 31A - these seem to work fine. Elsewhere, others have used TIP41C - another popular transistor for the output stage. After building a crystal set at the age of 11, I was given a large number of vacuum tubes (electron valves), plus assorted transformers, etc. 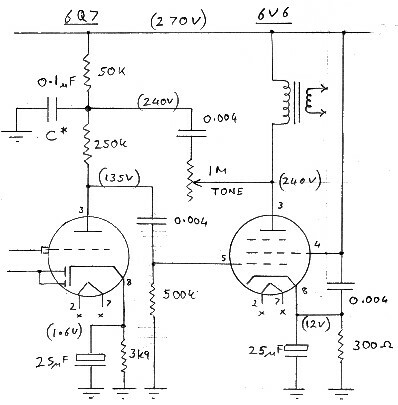 I did not know what to do with them for a couple of years, until a school friend, Alan Cooper, looked at the parts, and then off the top of his head, drew up a circuit diagram for a valve amplifier for my crystal set. This then became my own personal radio. For a number of years since then, I tampered with assorted valve radios and amplifiers. In recent years, I have taken a interest repairing and restoring old radios, including our old family radio (since the 1950's) - Pacemaker Type 515-2. This radio now has a prime spot in our dining room. Below is some info I have discovered during my time working on valve radios. Symptom: A 50Hz hum is heard only when tuned into a station. The hum is not noticeable between stations. Cause: Power cables pick up local radio frequencies. The RF signals are modulated with 50Hz in the rectifier valve, are present on the HV line, and then detected by the frequency changer. Fix: Fit a 0.01uF cap to earth on the live side of the mains transformer. On one radio, adding a second cap on the neutral line (to earth) improved this slightly further. On another radio, a cap on the neutral line actually slightly increased the hum. This is probably very noticeable due to my location. I live about 15km outside Dunedin, and the power cables pass close to 3 radio transmitter towers. Symptom: A loud 100Hz hum is heard when the tone is turned down. This is not affected by the volume setting. Cause: This occurs only in a circuit similar to that below. An oscillation starts due to instability of the HV between the two resistors when the resistance in the tone control approaches 0 ohm. The 100Hz ripple on the HV line triggers the oscillation. Fix: Fit a 0.1uF cap to earth on the reduced HV line as in the circuit below (C*). Notes: This occurred on a Columbus Model 32.